This is a quick card that uses up scrap paper. Fold and crease the crumb cake card stock into the card base. Randomly stamp flowers in Daffodil Delight going down and across center of card to opposite corner. Layer the 3 pieces of DSP in the center of the card. 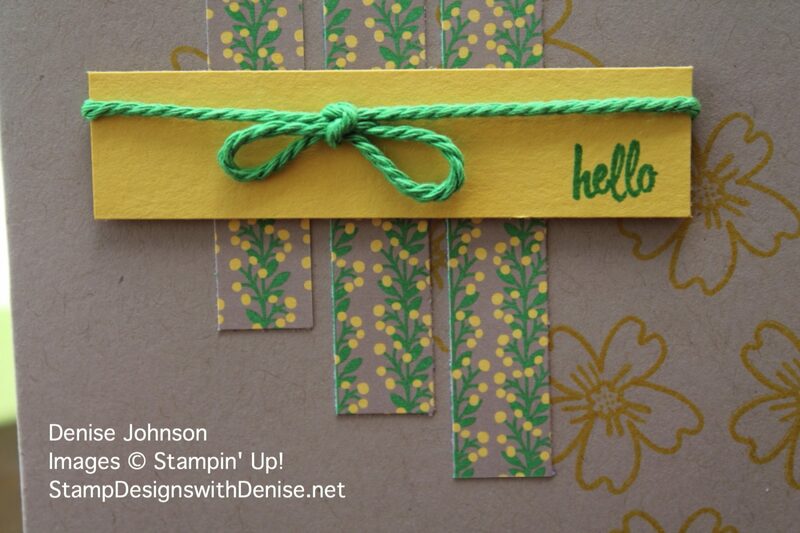 Stamp the sentiment in Cucumber Crush on the Daffodil Delight card stock. 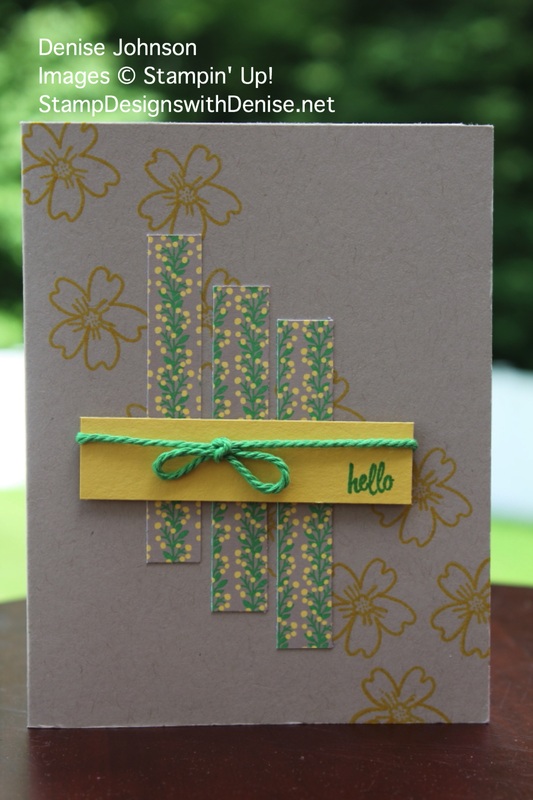 Tie a knot and attach baker’s twine to Daffodil Delight card stock. Attach to card base using dimensionals.